Christ the Tao: A Lao Zi impersonator turns up. Lao Zi literally means "old master," a name or title usually applied to the author of the great Chinese classic, Dao Dejing. Our new book (see last blog) is a tribute to two "old masters" whom I have had the privilege of knowing a little, Dr. Paul Brand and Dr. Ralph Winter. I'm also a big fan of THE Lao Zi. 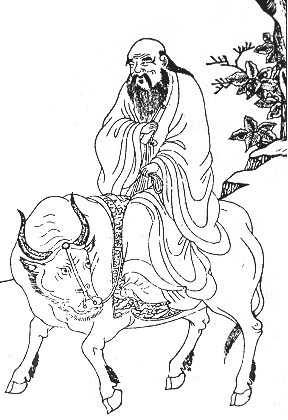 This copy-cat Lao Zi invited Christians to dialogue, respectfully and rationally (he said), about the effectiveness of what he called "standard Christian arguments:"
"Christians get so excited when they read 'The Case for Christ' or 'Mere Christianity' and think they have the slam dunk argument to beat the infidels. Not only have these arguments been thoroughly refuted, it was done LONG AGO. The Christians need to become more aware of these arguments that have been made. The reason they are not, is because they always read books 'in the fold' never from someone outside the faith, so they are helpless in the face of those arguments. I want to list the standard Christian arguments and answer them briefly." He then gave what he saw as the gist of each argument. "Faith is the belief in something in the absense of evidence." I proceeded to explain why these assumptions were wrong. I concentrated on Lao Zi's assumptions about what Christians mean by "faith," pointing him to historical research I've done on the topic, and to defending Lewis and Pascal. But Lao Zi turned out to be one of those disputants who ask for calm reason, then when contradicted, call down fire and brimstone, and paint cartoon devil's horns on the top of your head. Why am I reporting my conversation with this "old master?" I'm engaged in a debate on another forum with an atheist philosopher who seems thoughtful, careful, and critical towards his own arguments. Perhaps it would be kinder to the atheist cause to report that conversation, instead. I also plan soon to post a dialogue with a famous, and more sympathetic, writer (still a theist and a fan of Jesus) who has recently turned angrily against the Christian faith. But Lao Zi represents a more common variety of Internet atheist. Perhaps you've met a few, yourself. And I have to admit I rather enjoyed Lao Zi's climactic tirade against myself, and against American Christians, generally. People often reveal interesting things when they get angry. Another reason I share his claims is, of course, is to answer them (which he claims I've never done). Also, this is the first time I've "met" a Lao Zi impersonator. Lao Zi: I had a bit of a revelation, if you will forgive the word, given recent discussions. The only way to influence the thoughts and actions of others are through reason and violence. Consider lying to someone as an indirect form of violence. Hmmn. Is it true that "reason" and "violence" are the "only way to influence the thoughts and actions of others?" Can't one also influence someone by bribing him? (Witness Blagoyavich's sentencing a few days ago.) How about kissing her on the cheek? Wagging your tail? Offering your yellow lab a doggy snack? Obviously, lying is not a "form of violence." Both lying and violence may be forms of some larger category, say, "immoral means to ends." Why does Lao Zi confuse these categories? (Especially since the target of his criticism, myself, has neither told lies nor committed violence?) This seems to be another indirect way of "poisoning the well:" the allegations are in the water, like bate for a fish to bite on, yet are deniable, since Lao Zi does not specify who is committing what alleged lies or violence. "SOME Christian posters have shunned reason through evasion of the points made by others. I always thought some would yield to some facts if they were spoken in a non-aggravating fashion, but I have a clear experience here that this does not hold true." The key word here seems to be "yield." Lao Zi began the thread with great bombast but (I argued) a poor grasp of key facts. He seemed to think if he repeated the word "reason" several times, even while accusing his opponents of thought crimes (see below), they were morally bound to "yield" to his powerful arguments. If they did not, that demonstrated their moral culpability, and they therefore deserved, not violence, but harsher methods of persuasion. "The Enlightenment brought us values not held in the bible - individual rights, free speech, the right to property, democracy, the right to be tried by a jury of your peers, no unreasonable search and seizure, the right to face your accuser, and many others. " Again, we must ask, are these claims true? In Freedom, a History, Donald Treadgold, head of the History Department at the University of Washington, argued that Israel was the ONLY nation in the ancient Near East that "avoided the institutions and practices of despotism." Commandment 10: "Thou shalt not covet your neighbor's house . . . wife . . . servant . . . ox . . . donkey . . . or anything that belongs to your neighbor." Be that as it may, Lao Zi's logic seems to be as follows. The Bible does not delineate rights recognized in modern society as clearly as, say, the US Constitution does. Christians believe the Bible. Therefore, no Christian can possibly believe in modern rights, which are not given in the Bible. Therefore David, being a Christian, cannot really believe in modern rights. Therefore any affectation on his part to do so, should he make such a pretense, must be false. Therefore, we are all in danger. If you're an atheist of a certain kind, I guess you may find this argument persuasive. It would be an understatement to say I see a few holes in it -- were Robinson Crusoe so holy, he could have walked off his island on top of the water. Second, yes Christians believe "the Bible," but few of us read it so simply as Lao Zi seems to think we should. For one thing, the second half of the Bible is about a person named Jesus, who, Paul tells us (in that same Bible) radically changed how the Law applies -- especially to Gentiles, which most modern Christians are. Third, as an empirical fact, most modern Christians do believe in democracy, free speech, jury trial, and the rest. In fact, most successful modern democracies happen to thrive in territory where the Bible has been especially influential. Not every historian sees that as a coincidence. Fifth, yet another troublesome fact, many of the people who established modern freedoms were pious Christians -- John Bunyan, William Penn, John Locke, Edmund Burke, etc. Some of them lived before the supposed Enlightenment. So where did they get their values from? Or is it possible that some of the influence flowed in the opposite direction? Sixth, even if you want to give as little credit as possible to Christianity for modern freedoms, it is way too simple to credit "the Enlightenment" for them. Most have roots in ancient Greece and Rome; institutions of freedom in Europe also developed over many centuries during the Middle Ages. One good resource on this subject is Brian Tierney's The Crisis of Church and State, 1050-1300. With Selected Documents. "Now by abandoning reason, David Marshall and others like him have not embraced violence... but what other options are available to them?" Again, both premises and conclusion are false. You may dislike my reasoning, but it is reasoning, good or bad. And obviously, as above, there are many ways to persuade people besides reason or violence, should I ever tire of the former, and for some reason escew the latter. "The decision to not listen and rationally examine the claims of others is the first step on the road to violence. This is why Jefferson realized the Establishment Clause was so important. This is exactly what David Marshall does." Some readers may, again wonder why I am spending so time doing what Lao Zi claims I do not do -- "rationally examine" such silly claims. But for once, Lao Zi is right. I feel the "first steps of violence" patterning across my diaphram, a deep rumbling. I shake uncontrollably. I feel a sudden urge to lash out with my arms, and pound the desk, stomp my feet, let out a roar, even roll on the carpet and give the floor a mild pounding. Shibber me timbers! I think I'm under control again, now. I pick myself up after the outburst of violence, and continue reading. "Imagine a whole community of David Marshalls." "Let's say they want to make illegal women 'dressing provocatively' because it is an offense to God, or establish the ten commandments as the basis for law, such that graven images are punishable by death." I had a hard time making this out at first. I want to make illegal women -- what, furtive immigrants from Mexico? -- dress provocatively? All right, I can picture that, especially since the rest of the country now consists only of males named David Marshall. I picture the girls as looking like the bossomy lead actress in the movie The Three Amigos. Yes, we will have to do something for fun, and if the ladies are willing to dress like that, we will allow the show to go on. But apparently all these David Marshall are exactly like me, except that they want to stone infidels to death. Whereas I interview infidels, and write books about them. Well, sometimes debate them. "Now imagine we lived in a country without any constitutional protections. What options does the non-reasoning person have when the world is not doing as they wish, except to ultimately unleash that angry beast that lurks in the subconcious of us all? They would pseudo-reason that 'killing them would be a much more efficient method of shutting up the atheists.' Such decisions were make all the time, in pre-enlightenment cultures. All you have to do is use the label 'heretic' and you can do as you will." Here I spy another historical problem. How many atheists were killed for their disbelief before the so-called Enlightenment? Some three thousand innocent people were killed by the Spanish Inquisition, but they were mostly Jews or unorthodox Christians. Others were killed in Goa, also Jews, Christians, and Hindus. Maybe atheists were killed en masse some time in Christian history -- it would be nice if Lao Zi or someone could furnish some credible statistics, to accompany such generalizations. But how many Christians were murdered after the Enlightenment, by atheists who disliked Christianity, and supposed themselves to be following Enlightenment principles? The number is probably in the millions. So why does Lao Zi bring up this question? "The real" David Marshall is not an inquisitor. He has never asked for an inquisition. In fact, he objected vocally to the last and greatest inquisition -- run by atheists. The first thing he voluntarily submitted to be published, at 15 years of age, was a letter to the editor of an Alaskan newspaper objecting to media praise for that killer, Chairman Mao, at his death. Why do so many skeptics bring knives to a gun fight? Why complain about a hose running next door, when the Niagara Falls is flooding your basement? "And the only response of the rationalists to irrational violence would be violence in turn. What other choice would they have?" I am not sure what "rationalists" Lao Zi has in mind, here. I shudder to think he is speaking of himself. "I for one am glad we have the Enlightenment to leash people like David Marshall. I wonder how many rational Christians would yearn for a theocracy, if they found to their dismay, they did not have the 'right' brand of religion, and were persecuted." What evidence is there that many Christians yearn for theocracy now? Preparing to write The Truth Behind the New Atheism, I surveyed many conservative Christians, and found almost no trace of a desire for anything that could reasonably be called theocracy. Also, I wonder what the communists would have done were they not "leashed" by the so-called "Enlightenment?" Or the Nazis, whom some historians argue were also profoundly influenced by Enlightenment ideas? One shudders to think how much worse both movements might have been without this restraining influence! "BTW - I don't care if David says 'I am for freedom of expression.' That is not a biblical idea. And, it does not address my point that religion is the first step on the road to violence. Watch for him to ignore that point, as he does all the others made here." Actually, this claim, too, is false. I did not "ignore" Lao Zi, though maybe I should have. I did violence against my floor. I show why his claims were wrong. And now, I have responded (no doubt foolishly) to almost his entire, silly attack. According to evolutionary biologists, violence occurred on this planet for billions of years before human beings started praying to God. How could the first step come billions of years AFTER the last step to which it allegedly leads? This is a mystery, which perhaps not even the real Lao Zi (for whom I weep, as he rides his ox off into the western sunset), could have solved. Which reminds me of another interesting contradiction between the modern Lao Tzu and his ancient mentor. "Those in ancient times who had the Dao, used it not to teach, but to keep people in ignorance." Even while disdaining wisdom, the historical Lao Zi was one of the wisest and most rational thinkers of ancient times. His modern impersonator, by contrast, claims to write on behalf of reason and wisdom -- and in their name, unleashes a long series of skeptical platitudes, slurs, and half-baked historical cliches masquerading as wisdom. I do hope the Elvis impersonator is better.